Hello World, it's LaMar Williams here to bring you drama and delight! Originally from Erie, Pa he received his professional modern dance education at Slippery Rock University then moved to Pittsburgh, Pa in 2011. Collaborating with local artists and dance companies brings him great joy, while he also gets to explore his own personal artistic voice through many platforms. Whether it be flying high in the Aerial silks or vogueing with his house members, he loves and devotes his life to the appreciation of all movement. A fusion of past, present, and future. 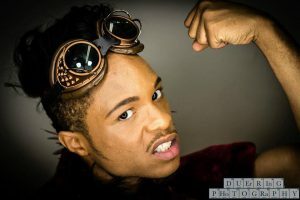 Lamar is excited to be apart of The DANA Movement Ensemble and the magic ahead! Hi there! I am Stephanie Soracco. I am a Pittsburgh-based performing artist. I grew up right here in the suburbs of this great city. I received my Dual Bachelor of Arts degrees in Dance Arts as well as Theater from Indiana University of Pennsylvania in 2015. Since coming back to Pittsburgh, I have had the wonderful opportunity to dance with the DANA movement ensemble! I am excited to share what we’ve started to pour into, and am looking forward to continuing the work my fellow talented artists and I have been a part of creating. Hi everyone! I am Lauren McKee. 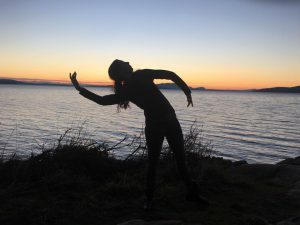 I am a Pittsburgh-based dance educator and performing artist. I grew up in 'The Weather Capitol of the World' AKA, Punxsutawney, PA. I received my Bachelor of Arts in Dance while completing two minors in Art and Adapted Physical Activity from Slippery Rock University in 2014. 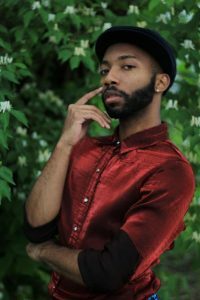 Since relocating to Pittsburgh, I have performed works with Shana Simmons Dance, Staycee Pearl Dance Project, and Attack Theatre. I am so excited to be part of the DANA movement ensemble and am looking forward to working with with these amazing artists! I am Elanore Ferrara, I recently joined forces with the DANA Movement Ensemble. 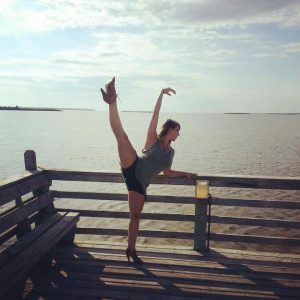 I graduated with a Bachelor of Arts from Slippery Rock University in 2014 and have continued dance through teaching and performing. Trevor C. Miles is a powerhouse teaching artist hailing from Pittsburgh, Pennsylvania. Over his ten year career, he has taught hundreds of students across Pittsburgh, and himself continues to learn and push, hence his collaboration with DANA. He continues to partner with organizations across Pennsylvania to bring his work to the masses.